Elicit, an award winning consultancy firm announced the appointment of analytics veteran Bill Hoffman as its Chief Growth Officer and Employee Practice Leader. In his new role, Hoffman will develop and implement new growth generating strategies for the business in the complex and competitive marketplace. His responsibility will include working with Elicit’s team of data scientists, technologists and strategists to help companies harness the power of their employee data to create meaningful, actionable insights about workforce. Bill's vast leadership experience in analytics and applied insight will strengthen the value we can offer to our clients and help us achieve the right kind of growth. 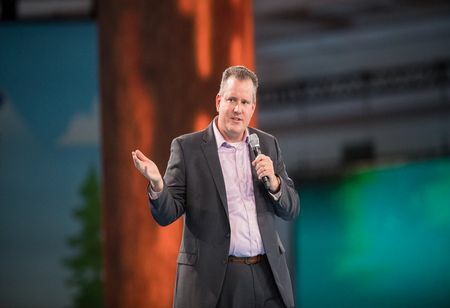 On his new role, Hoffman comments, “The next wave of growth for companies will be fueled by big data and advanced analytics aimed at unleashing the potential of their employee base. Companies that best acquire, retain, and deepen relationships with their employees will win the future as we move beyond the generation of customer centricity and into the next curve of growth, one focused on employee centricity." Hoffmann will join Elicit from the U.S. Bank where he was the Chief Analytics Officer and Head of CRM. He has also served several key leadership roles including Senior Vice President, Customer Insight and Strategy at Best Buy; as a Senior Expert and Partner with McKinsey & Company and The Gallup Organization. Hoffman began his career at Central Intelligence Agency (CIA) and received the Balkans Service Medal and two Exceptional Performance Awards. He holds a B.A in International Relations, a B.A in Economics from DePaul University and a M.A in National Security Studies from the School of Foreign Service at Georgetown University.